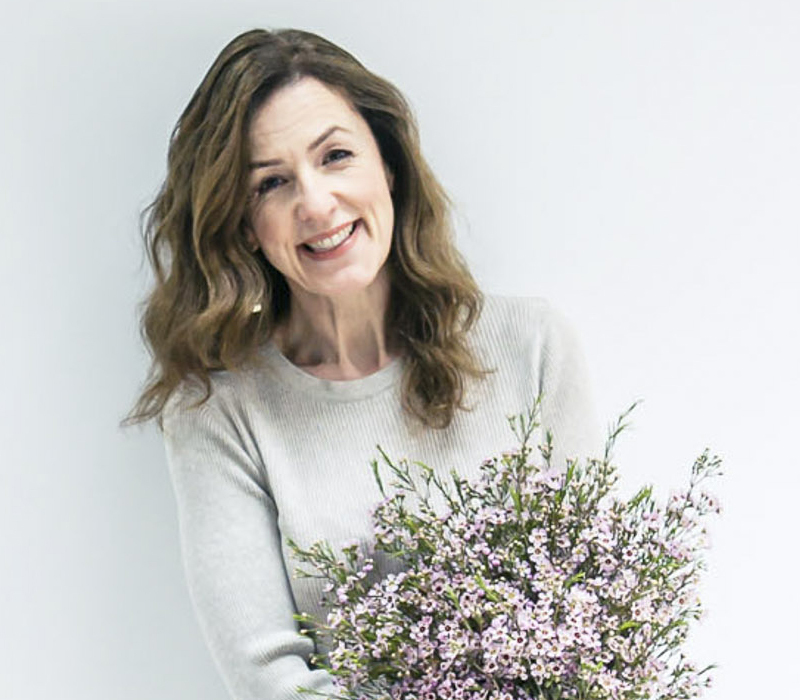 I’m delighted today to feature an interview with London-based florist Elizabeth Marsh, together with images of her stunning floral designs. I never planned to become a florist. I actually wanted to be a writer, maybe a journalist, but one day I realised I had nothing to say that hadn’t already been said. 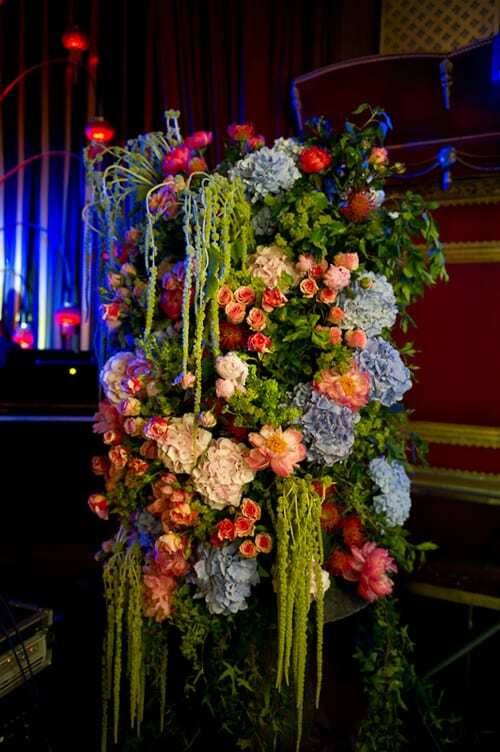 Then I ‘fell’ into floristry by pure chance and found that I could express myself with images more succinctly and originally than with words…it just made more sense. I actually started my business in 1992, had my children in 1993, took a break and then started up again about seven years ago. 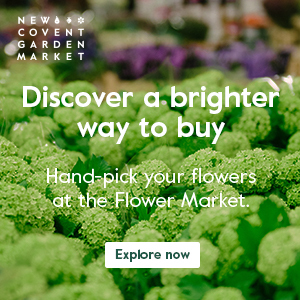 Currently, we’re based in New Covent Garden Flower Market in London. 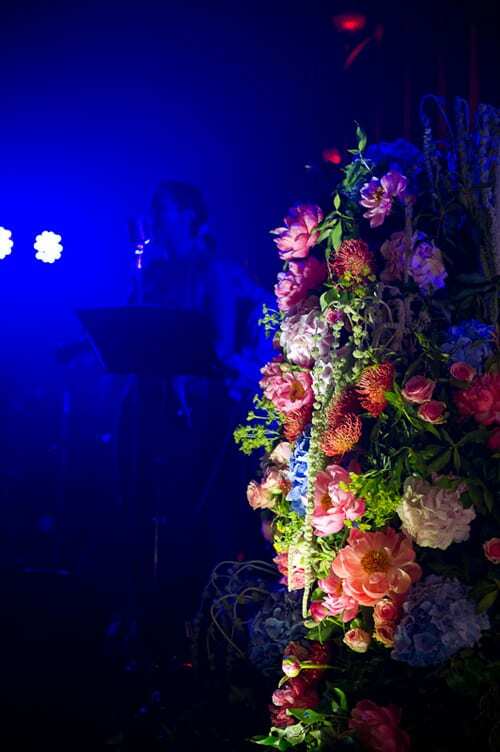 We offer the whole range of floristry services and more…bouquet deliveries, weddings, events, funeral work, weekly flower displays for hotels, restaurants, offices, private houses, workshops, gifts and consultation services. Could you tell us about some of your past commissions? 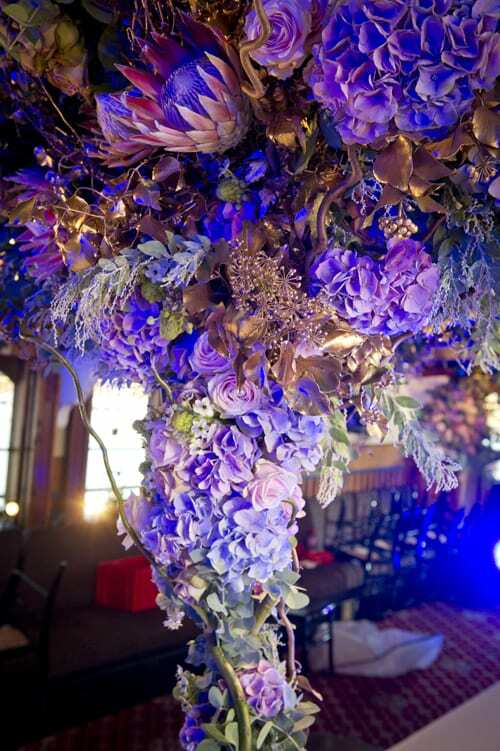 Commissions have included turning around the floral décor at the Four Seasons Hotel in Canary Wharf, to enhance the creativity, add variety and the designer touch that one would expect. 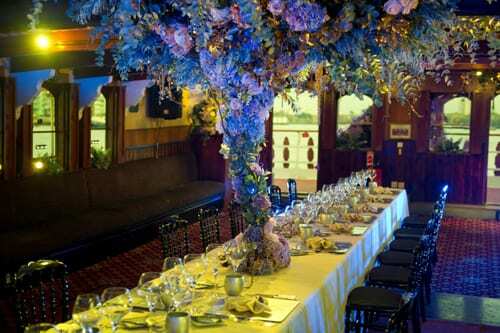 We’ve also created a floral design for a dinner party for twenty-five people on a steam boat with an upside down tree that started at a tiny point on the table top to billow out and drape across the ceiling…which you can see below. I adapt my style to that of the customer. 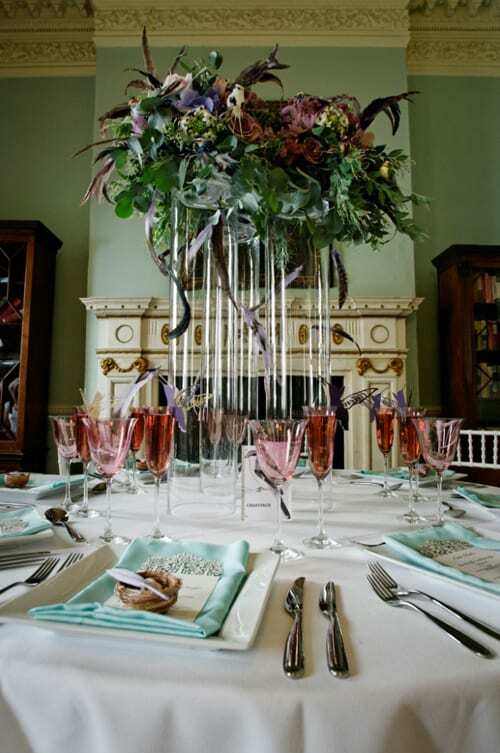 We work across all styles from chic and contemporary, avant garde, modern, classical, traditional and 18th century through to a rambling wild flower style. I love variety and have a low boredom threshold, so am constantly looking for the next challenge. I’ve had many favourites in my time but now appreciate the right flower in the right context more than any one flower above all. 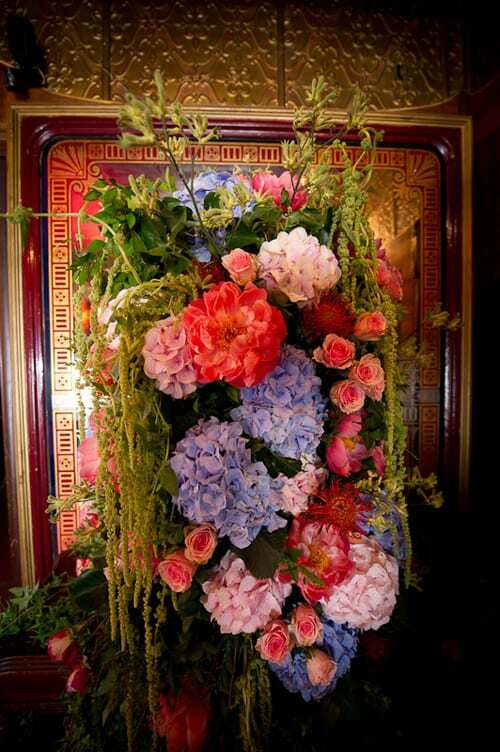 However, coral peonies, cosmos, apricot roses, purple hydrangea, palest pink hydrangea, black dahlias, rambling roses and hanging amaranthus have all been favourites at various times. 2012 has been all about growth. I recruited a really competent assistant and worked on the team to create an atmosphere where passion, hard work and love of flowers predominate. I’m looking to increase the scope of the company and coach my florists into really expressing themselves through their flowers. Many thanks to Elizabeth for all her help in compiling today’s blog post. Wonderful wonderful work. 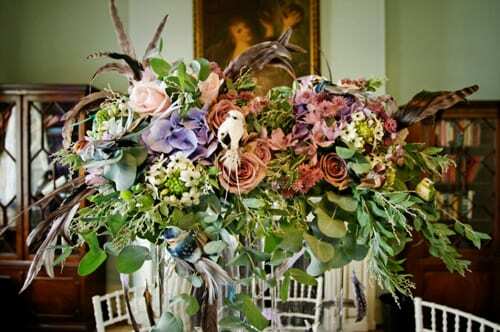 I especially love the sense of tumbling flowers- they have a looseness whilst remaining utterly elegant. Delighted to have discovered Elizabeth’s work, thanks for another great post Rona. Thank you Ceri for your comment and lovely tweets too. You’re very welcome :-).